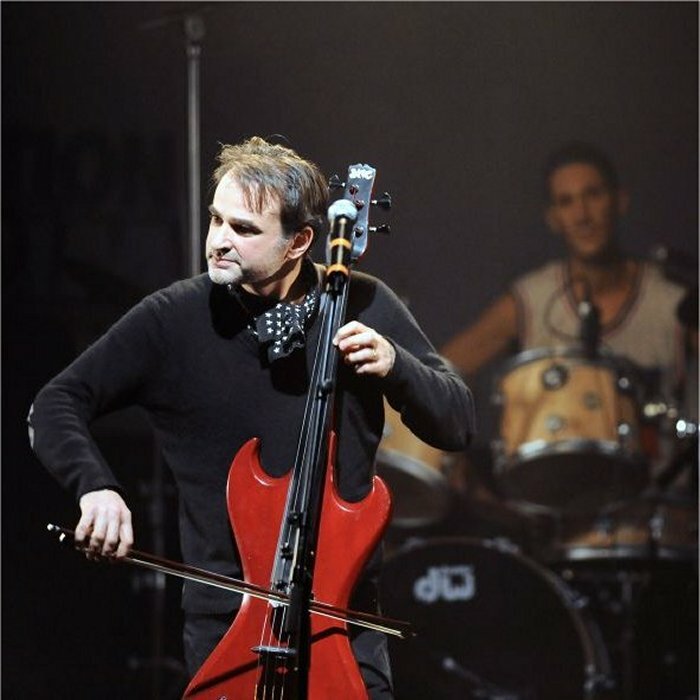 Vincent Ségal, is a French cellist and bassist born in 1967 in the French city of Reims. He is a conservatory musician from the National Music Academy of Lyon who also studied at Banff Centre for the Arts in Canada. He is mainly known for the variety of his collaborations and out of the ordinary projects. He has worked with the likes of Steve Nieve, Elvis Costello,Cesaria Evora, Blackalicious, Carlinhos Brown, the French reggae band Tryo, Franck Monnet, the experimental project Mujeres Encinta, Georges Moustaki or with Alexandre Desplat in the O.S.T. of Lust, caution and other of his films. In 1986 he met Cyril Atef and together formed the band Bumcello a downtempo electronica duo that obtain ample success in France as well as Victoires de la Musique award as Electronic artist of the year 2006. He has also collaborated in every Matthieu Chedid (-M-) album. In 2009 he collaborated with Sting's in his album If on a Winter's Night... for which they tour together. In October of the same year he recorded, in the studio of Salif Keïta in Mali, the collaboration album Chamber Music with Ballaké Sissoko The collaboration has had a great success, Sissoko and Ségal have been touring together for the past couple of years.